La Maison Chic offers the best bedsides selection that would attract a variety of customers. It is often said that a bedside is as important as a comfortable bed. This surely gives us the idea that we cannot complete our bedroom look without getting the right ones. 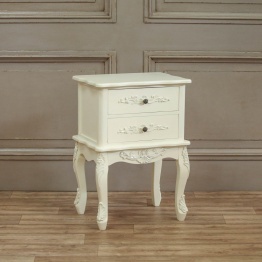 It is no doubt that bedside is an essential piece of furniture for our homes as we put the most intrinsic goods on it. There are examples of great bedsides out there that are exceptionally great in design and style. But one question is always on the mind of the customers. Are bedsides only good for their functionality? Well, at La Maison Chic we believe that bedsides can be used as an accessory and as a functional piece of furniture as well. It is about function and style all at once. The storage capacity that these bedsides have is impeccable. Of course, when you have the best looking bedside in your bedroom, you wouldn’t just keep your keys on top of it, right? 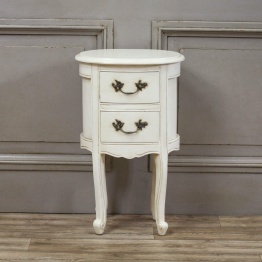 La Maison Chic offers customers wide selection of classical bedsides. 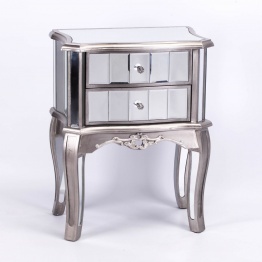 Be it a French bedside, Venetian bedside, mirrored bedside, rococo bedsides, ornate bedsides, industrial bedsides or traditional bedside tables, embossed bedsides, French white bedside chest. There is a huge variety to choose from. 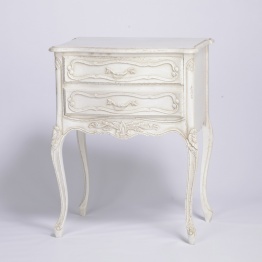 When you are talking about beauty or the decoration aspect, then a French style bedside, rococo bedside, Venetian bedside, Chateau bedsides or Louis bedsides would be perfect. On the other hand, if you are looking for the lighting aspect, then go for mirrored bedsides which would reflect a lot of light on the rest of the bedroom. People with limited bedroom space should select furniture that takes up less space, for example the modern bedsides. Things to keep in mind while buying bedsides— It is always a good idea to keep a few things in mind before you finally make your decision. Lighting- Bedsides are commonly used by people for storing favourite books and magazines. It must be kept in a place with a good light. The right height- This is a must criteria. 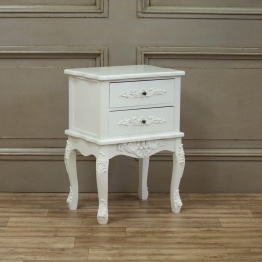 Whether you are opting for a chest of drawers or anend table, you should check the height of the item. It depends on your bed height as well as the purpose of having the bedsides. Light switch- Having trouble to switch off the table lamp in the middle of the night can be frustrating. But with the right positioning of the bedsides, you may not face this issue at all! When you can switch off and on the light of the lamp without much stretching, then you know that the bedsides are perfect for you. Glass top- Having a glass top of your bedside can make things easy for you. Glass is easy to clean and it always serves as a table top protector. You can use it any way you want, style it the way you have imagined and of course, you can keep anything on top of it! Finding the right bedside may sound like a big task but not anymore! 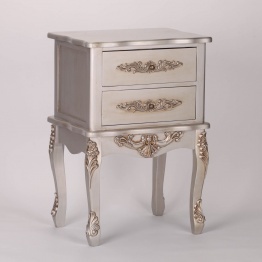 At La Maison Chic, we provide the widest selection of modern and classical bedsides.